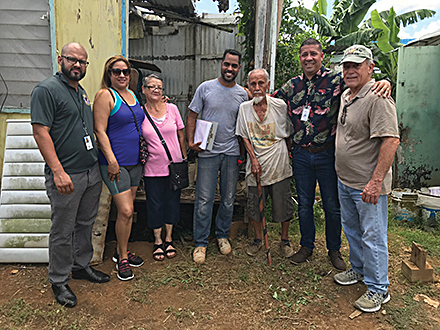 Pedroza and Puerto Rico’s four VVA chapters—59, 398, 483, and 556—have played an instrumental role in trying to help. He also said VVA as a whole has provided critical support and assistance. But with the federal relief efforts taking as much time as they have, finding and reaching many veterans continues to be daunting. What many people seem to forget is that only two weeks prior to Hurricane Maria, Hurricane Irma, a Cat 5 monster, had passed just north of San Juan, which nonetheless was hit with 100 mph wind gusts. Four people died, two-thirds of the island lost electricity, and more than one-third of the population was deprived of clean water. Then, as the island was trying to recover, Hurricane Maria scored a direct hit with 155 mph winds, 38 inches of rain, and flood waters up to 15 feet. Maria knocked out power for all 3.4 million residents of the island. In many places it would be months before power was restored. That alone caused untold suffering. Ninety-five percent of the island’s cell phone networks was also knocked out, as was 85 percent of above-ground phone and Internet cables. Of course, Pedroza knew none of these things the morning after the storm. He’d been awake all night hunkered down with his extended family in one room of his home near San Juan, just trying to assure them everything would be okay. At about 9 a.m., he looked outside. Trees, telephone poles, and street-light poles were down. Some of the debris blocked Pedroza from getting out of his house. But the psychological impact was palpable. “That first day, a lot of people were shell-shocked,” Pedroza recalled. “They couldn’t believe what had happened all around them.” Add in a sense of near-total isolation: The roads leading out of the neighborhood were either severely damaged or blocked with debris. No one could go anywhere. 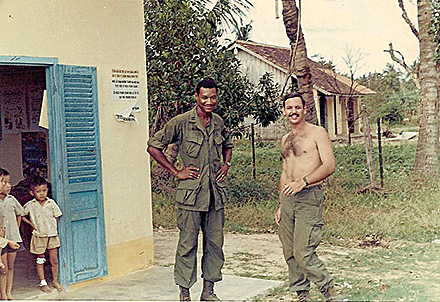 Pedroza’s first communication from the U.S. mainland was a text he received several days after the storm from VVA National, asking how he was doing. His cell phone was finally receiving, but he couldn’t respond. Two VVA chapters are near the island’s southern coast—Chapter 556 in Ponce and Chapter 483 in Yauco. Another—Chapter 398 in Arecibo—is on the north coast, and the fourth—Chapter 59—is in San Juan. Even after a week, communication within Puerto Rico was spotty at best. All Pedroza could ascertain was that each chapter president was working to locate members and see how they were doing. Total VVA membership is about 400, he said. Pedroza made his way to the VA hospital in San Juan. “I went straight to the hospital director and told him about this veteran in particular, that they had to send something out there to get to him. Because I knew that if he didn’t get his medication, he would die.” The VA sent a rescue team, which found the man and brought him back to the hospital. But Pedroza realized that many other veterans—including VVA members—were probably also in dire situations. Exactly who and where they were, though, was still anyone’s guess. In Arecibo, the entire VA clinic had been obliterated; tents were put up as temporary treatment centers. On the western coast, in Mayaguez, the VA clinic had been out of operation for at least the first ten days, then only partially functioning. In the southern areas, fuel for generators was either scarce or nonexistent, rendering all health care facilities—private as well as VA—almost helpless. While the main VA hospital in San Juan was struggling, at least it was open and functioning. But getting there from the interior regions remained a big problem. “So many roads were still closed, and the rivers in the central part of Puerto Rico took out most of the bridges,” Pedroza said. Between State Council presidents and VVA National, Pedroza said he received about $25,000, which he and his chapter presidents parceled out to those in need. For the veteran and his family who’d lost their home and everything in it, “I gave him a lot so he could also buy clothes and personal things for himself and family,” Pedroza said. 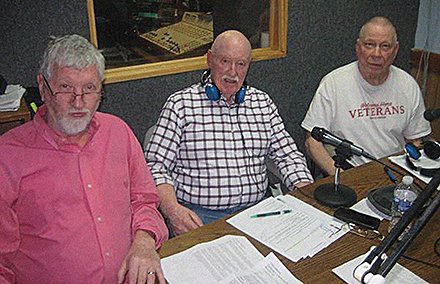 And in true VVA spirit, Pedroza and his chapter presidents are trying to look out for veterans. “About two months ago I was watching the news and saw a story about a Korean War veteran whose house had been all but destroyed. A year later he had still not seen a doctor, he was low on water, and barely had any electricity.” The veteran was living in the central part of the island, where conditions remain bad. “But I believe today there are veterans still struggling because of Maria, and the VA has not reached them all yet,” Pedroza said. It’s not just the VA that has had problems. In July 2018 the Federal Emergency Management Agency released an after-action report critical of its response to Hurricane Maria, noting FEMA efforts had been plagued from the start by chaos, disorganization, and logistical problems, according to The New York Times. In fact, when Maria hit, all of FEMA’s relief supplies had been shipped to the U.S. Virgin Islands because of the devastation there two weeks earlier from Hurricane Irma. According to the VA, Puerto Rico is home to some 45,000 veterans, from World War II to the current wars in the Middle East. The good news is that most VA facilities are back in full operation. But the Arecibo clinic is still closed as veterans continue to receive health care in tents, and the clinic on Vieques island remains shut. Pedroza knows of one death of a VVA member because of Maria. Wilfredo Montes, Pedroza’s State Council Vice President, went out during the storm to try to secure windows on his home and suffered a heart attack. Pedroza suspects more veterans are among the approximately 3,000 who died as a result of the storm. Electricity has been restored, but infrastructure remains troubled, at best, in places other than San Juan. “We still have bridges out, more than a year later,” he said.